We drove from Pristina to Prizren along a straight road and the city seemed very large from the distance sitting just below the snow-topped mountains. We initially felt that Prizren might be ugly and boring but soon realised that our first impressions were completely misguided. Visiting Prizren turned out to be well worth the journey! The approach to our hotel was through some very narrow roads and we later discovered that it was conveniently located within a two minute walk from the quaint old town centre. The receptionist, who was very welcoming, had even reserved a spot in front of the hotel in which to park our car. As soon as we checked in, we set off to explore the old town. Overlooking the town is a medieval fortress with an old Orthodox cathedral just below it. It is very possible to hike up all the way to the fort but we chose to stay in the old town area instead. 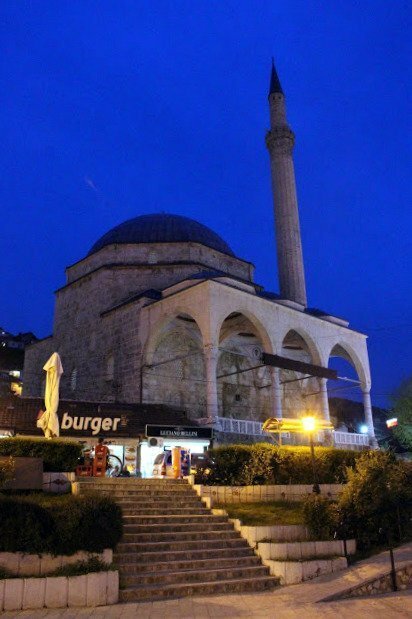 Prizren is full of churches and mosques, the most notable of which is the Sofi Sinan Pasha Mosque built right next to the Bistrica river close to the old Stone bridge. The mosque and bridge are beautifully lit up at night thus providing a very romantic setting. The road leading to the old town centre is full of small shops selling everything from assorted nuts and ice cream to Albanian souvenirs. 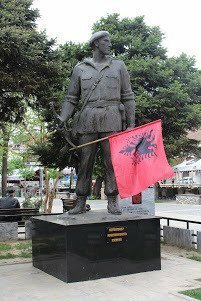 The Albanian flag is very evident everywhere and is revered by Albanian Kosovars and even the statue of the KLA guerilla fighter near the river had been adorned with the flag. 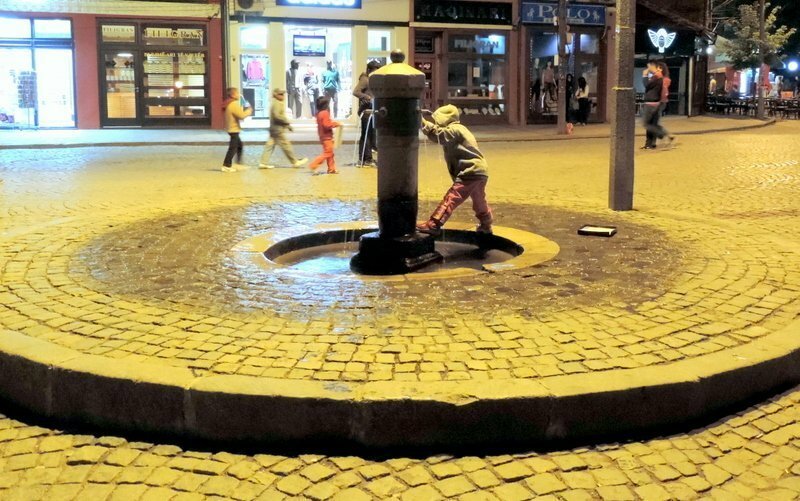 We noticed that there were far more tourists in Prizren than in Pristina which was probably the reason for the large number of child beggars who were, at times, quite annoying. On the other hand, people strolling on the river banks, many of whom were locals, gave an impression of general well-being which was a surprising observation in a country where about 40% of the population is unemployed. Bars and cafes were packed on a Thursday night making the whole scene very lively. Prizren also has lots of dentists; its roads are full of dental clinics! And the local people’s teeth seemed very normal so we failed to grasp the importance of having such a high concentration of dentists in town… perhaps Prizren people are just super obsessed with dental hygiene! We had a massive dinner of cheese, meats, salads and wine at one of Prizren’s more popular restaurants which we both agreed was one of the best meals of our entire trip and cost about 20 euro for the both of us. We later enjoyed walking around the old town and observing life before ending the evening with a glass of wine and an ice-cream at a riverside cafe. Much to our surprise, we found Prizren to be extremely pretty, safe and welcoming and we definitely look forward to visiting again. It may eventually prove to be a popular European destination for a romantic weekend getaway! 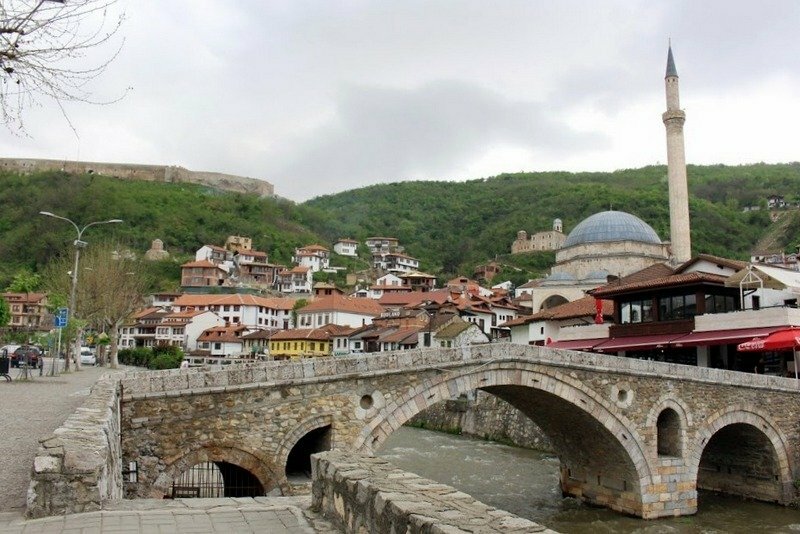 Made up your mind yet about visiting Prizren?